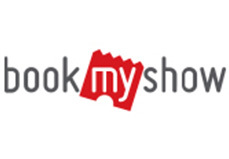 Avendus Capital advises BookMyShow on its INR 150 crore fund raise from SAIF Partners, Accel Partners and Network18. Bigtree Entertainment Pvt. Ltd., the holding company of India’s leading entertainment ticketing company BookMyShow, today announced an investment from SAIF Partners and its existing investors Accel Partners and Network18. The investors have invested INR 150 crore as part of this round which valued the company at over INR 1,000 crore. BookMyShow has been scaling rapidly, more than doubling its revenues every year over the last few years. With over 35 million visits and approximately 500 million page views, BookMyShow has grown to become one of the largest transacting e-commerce platforms in the country. The company has sold over 100 million tickets till date. BookMyShow now has a presence in over 200 cities and is striving to further penetrate the single screen cinema segment in each of those markets. With this round of financing, the company is looking to invest in increasing its penetration outside Tier I cities, build on its infrastructure and expand its offering in order to take its customer experience to the next level.